In a talk entitled "Are there Turbo-Codes on Mars? ", Caltech electrical engineering professor Robert McEliece will deliver the third in the annual series of lectures in honor of mathematician and digital pioneer Claude Shannon. McEliece, who first joint Caltech's Jet Propulsion Laboratory in 1963, will survey the progress in interplanetary telecommunications technology made possible by Shannon's genius from 1963 to the present, and speculate a bit about the future. 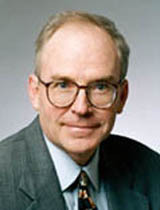 Robert J. McEliece is the Allen E. Puckett Professor, and Professor of Electrical Engineering, at the California Institute of Technology (Caltech) in Pasadena. He has been a consultant in the Communications Research Section of Caltech's Jet Propulsion Laboratory since 1978. His research interests include deep-space communication, communication networks, coding theory, and probabilistic inference. McEliece received his B.S. and Ph.D. degrees in mathematics from Caltech in 1964 and 1967, respectively. From 1963 to 1978, he was with the Communications Research Section of the Jet Propulsion Laboratory. From 1978 to 1982, he was Professor of Mathematics and Research Professor at the Coordinated Science Laboratory, University of Illinois, Urbana-Champaign. Since 1982, he has been on the faculty at Caltech. After the talk, McEliece's presentation will be available for on-demand viewing in streaming video at the Calit2 Multimedia website: http://www.calit2.net/multimedia/.